With us you are going the green way as we will recycle and promote re-use. Many customers are concerned, what happens to their items once we remove them. Fortunately, this is one of our main concerns too. We promise to recycle and promote re-use whenever possible. Our target is to recycle more than our competitors and find new ways of increasing re-use. At present, paper and metal are the easiest to be recycle, followed by books, clothes and sometimes furniture. If you would like to help us recycle more and if you are able to, please separate these items into different bags or boxes. We have all the necessary Environment Agency licenses to give you peace of mind that the job is being done professionally. We are fully insured. 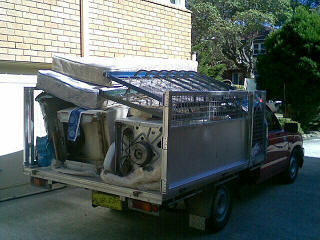 With us you can rest assure that we know the most about all the recycling and how to promote green rubbish removal.